Classic: SpaceWorld 1999 マクハリ (Makuhari) Mew . This gift was distributed to players who won a lucky draw, and could redeem it when they attended the SpaceWorld 1999. Big thanks to @Afepoke for helping us preserve this rare Mew, as well as his other Japanese Gen I files! This gift was distributed to players who won a lucky draw, and could redeem it when they attended the SpaceWorld 1997. 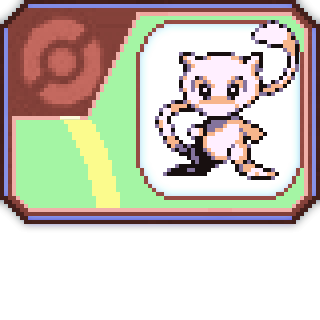 Big thanks to @Deoxyz and u/salinbreezy for helping us preserve this rare Mew! that came bundled with a collection ticket see screenshot area. The device also comes with a code card for a Serial Code for Mew, a code card for the respective theme, themed stickers , and pre-loaded with the Virtual Console title. 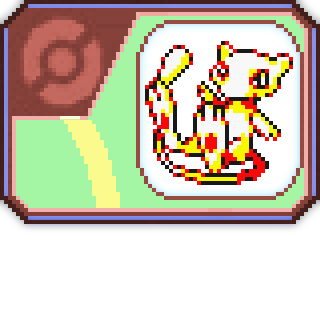 The ticket would have to be taken to a participating Pokemon Center in Japan, in order to receive the Mew via trade. This PK1 file will only be compatible with JPN version of the game. AND CAN BE TRANSFERRED UP TO GEN 7 AND ONWARDS. This is a video of my friends helping me to collect the Mew event!